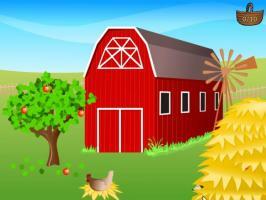 Find all apples in this short hidden object game. 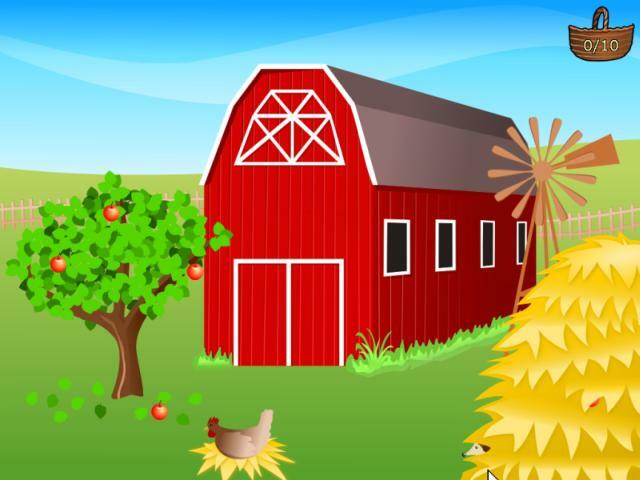 "Very simple but extremely short game ideal for children, find the apples amongst some nice animations in a good looking interactive scene. " Sweet little game. The last apple was quite tricky to find! Tried to rate it from a childs perspective. Hehe, nice little game for young children to play. I think they will like the music, sound, and colourful barnyard scenery. Sadly I don't know any young children to show this game off to. A short but lovely search game. Superb graphics and animations, cute and fitting music. It's pretty easy with maybe some exceptions, nonetheless fun to play, and surely a nice little game for children. Of course, since the apples are not hidden randomly in the picture, it has not that much replay value (unless you have a bad memory).